Government Job and Astrology| Ways To Get Government Jobs, Planet Responsible for government job, Ways To get Government Job, Horoscope analysis for Government job. Stability in life is a very important factor and for this Government job keeps very important place. There is a dream of most of the younger to get a government job but very few of them achieve this goal. There is no need to worry about this. In this article you will get some effective tips which will help you to get government job. This will make your future financially sound, secure and freedom to enjoy your life openly. You have found in surroundings that mostly are not getting the government job in spite of doing hard work day and night but another person gets it easily by doing little bit work. It discourage us but this is the reality that luck plays a great role in life. If luck start it will make a beggar king and if luck plays a negative role then it will make a king beggar. Astrology is a very miraculous science which reveals the way of success. Horoscope tells every thing about the persons life and by understanding the loopholes and powers of our life we can get the way to over come from the problems of life in a better way. Through astrology you will get some special ways which can enhance your chances to get the government job. Saturn is the planet which is responsible for the Government job. If this planet supports you, chances to get government job increases. So by using the power of Saturn in right way we can increase the possibility to get government job. Note: It is good to take guidance of an experienced astrologer before going for any remedial process. 1. Blue Sapphire or Neelam:It will increase the dedication and provide the powers of Saturn which will open the path of success. But it is very important to get your horoscope checked before using blue sapphire as it is very precious and has very tremendous effects. 2. Reciting Shani Chalisa or shani stotra is also very effective to get the positive powers of lord shani deva. 3. Reciting Shani Mantra in a specific manner is also very effective way. 4. The ways can be different as per the positions of Saturn in horoscope i.e. 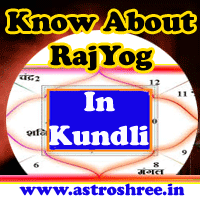 there is a different remedies for the persons who have favorable shani or Saturn in horoscope and remedies will be changed in case of unfavorable shani in kundli. So first of all get your horoscope checked. 5. Offering things of shanideva like buffaloes, black til on Saturday will also make shani dev favorable. 6. Fast on Saturday will also give benefit.